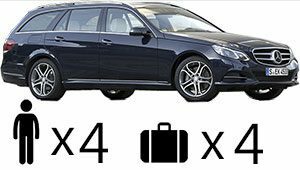 Book your airport taxi transfers to Stavros easily in low cost prices with Thessaloniki Taxi Transfers. 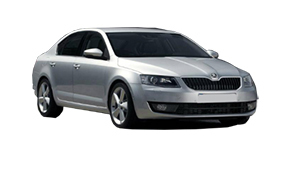 Thessaloniki Taxi Transfers undertakes your transfer from Thessaloniki Airport with comfort and safety. First of all, our fleet – luxury Mercedes E class cars-is always clean and well-maintained. Our drivers are always polite and helpful, as they are always willing to indulge the needs of the passengers. In conclusion, the quality of our services aims to offer a safe, comfortable and reliable journey. We specialize in private transfers, family transfers, business travelers and transfers for small-sized groups. We operate 24 hours a day – 7 days a week. Our driver will wait at the airport with a sign board with your name on. It is important to us, that you and your family will feel safe from the moment our driver will pick you up till you get to your destination. 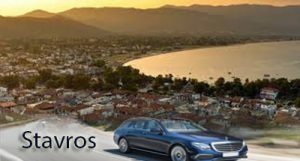 Book on line your taxi transfers to Stavros or from Stavros, in advance via our website and start your stress-free holidays in low cost prices. Select Pick up location either “City Thessaloniki” or “Thessaloniki Airport“. Choose Stavros for Drop off location. After that insert the Number of passengers (including Children). Choose, then, the vehicle you want.